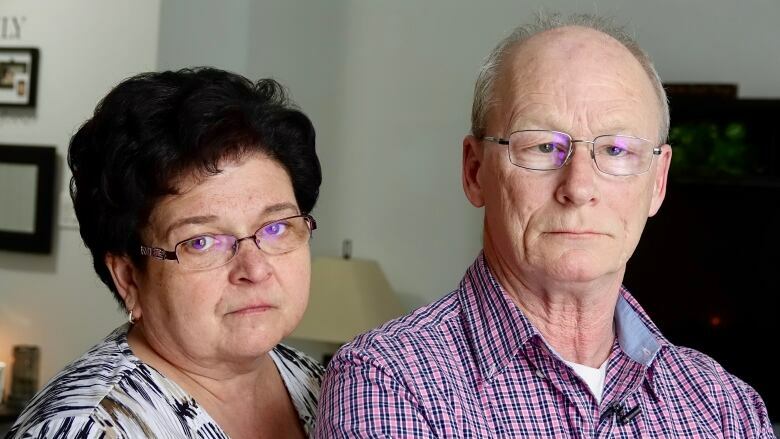 An Ottawa woman has launched a $3-million class action on behalf of more than 100 condo owners, claiming builder Theberge Developments Ltd. failed to deliver on its promises and blindsided purchasers with hidden costs. Sabrina Heyde, 31, alleges the builder "tricked" her into signing an agreement to rent her forced air heating system. 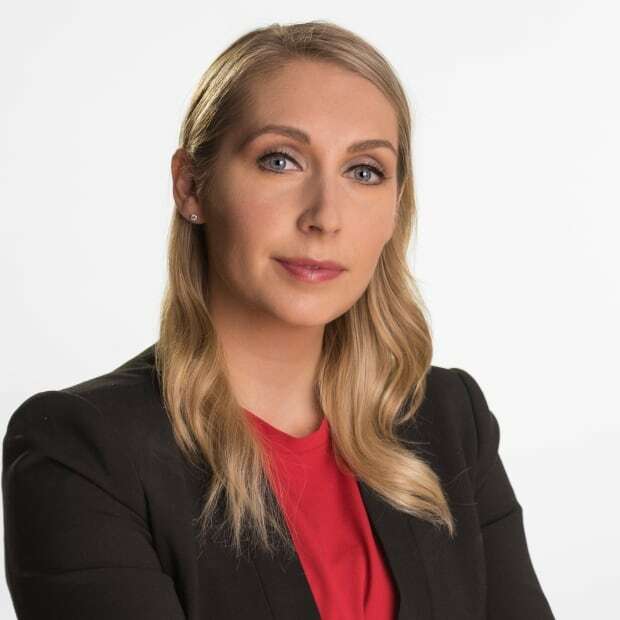 She put a $20,000 deposit down on a two-bedroom unit in the Alta Vista Ridge development on Everest Private, south of St. Laurent Shopping Centre, in 2011. The building was not yet constructed at the time. Two years later Heyde was asked to meet with the builder to pick out tiles and paint colours. She claims that during that meeting the developer slipped the heating system rental agreement into a pile of unrelated paperwork, and she signed it without realizing what it was. 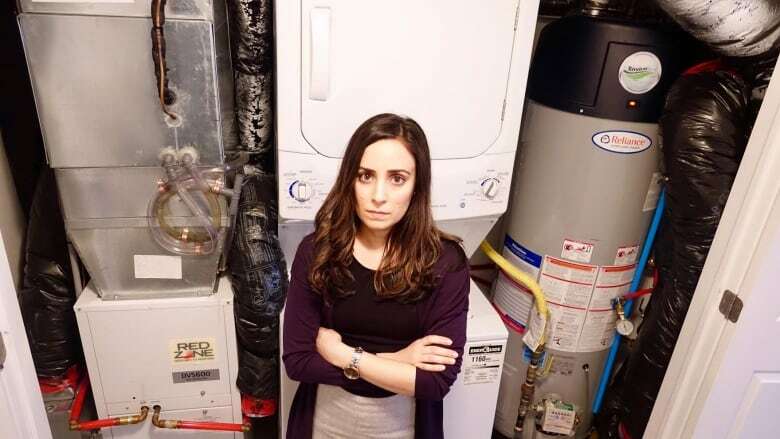 Heyde and other condo owners now pay $89 a month for their combined heating system and hot water tank, a cost some of them claim was never disclosed by the developer. "It's an issue of being tricked, it's an issue of being lied to," Heyde said. 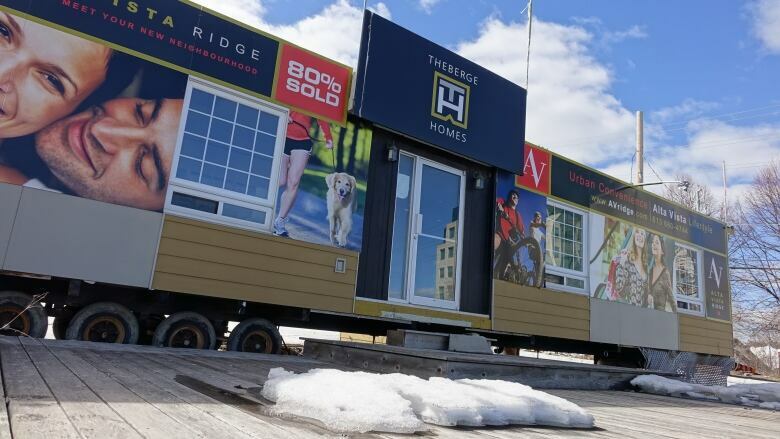 Theberge, which operates as Theberge Homes, disputes the claims of breach of contract, breach of the Condominium Act and negligent or fraudulent misrepresentation, and intends to file an appeal to have the case thrown out. Experienced real estate investor Kevin Marshall claims he never signed the agreement to rent a heating system. "We just got stuck with it," said Marshall, who also sits on the condo board. "It was unknown and it wasn't explained." Marshall has purchased five investment properties including a triplex and a four-unit building, and said furnaces have always been included. Marshall said he went to a lawyer to try to get out of the condo purchase, but claims Theberge refused. Valeda Babineau and Joe Corkery said they feel "cheated" and "deceived" by Theberge. The couple is nearing retirement and recently decided to downsize to a condo. "We were lied to," said Babineau. "We didn't know that when we purchased we were going to have to pay an extra $89 a month... Otherwise I think we would have thought twice about purchasing." Babineau and Corkery said they were told about the heating system rental during their upgrades meeting and were so upset they also went to a lawyer to try to get out of the deal. The couple said they spent $3,000 in legal fees, but couldn't get out of the purchase. The lawsuit also accuses the developer of reneging on a promise to provide more than 60 condo owners with storage lockers, even though the lockers were included in their original purchase agreements, according to court documents. The company blamed a drafting error in an original contract, which stated storage lockers were included in the purchase price. "I would have not purchased the place without storage," said Babineau. "They manipulated us," said Corkey. An Ottawa judge certified the class action earlier this month. Justice Robert Smith wrote in his decision that purchasers "were in a vulnerable position when dealing with the developer," and said they either had to close the transaction and sue for damages, or forfeit their deposits. Class actions against condo developers are a growing trend in Toronto, where the market has been booming for years, but it's believed this is the first lawsuit of its kind in Ottawa. 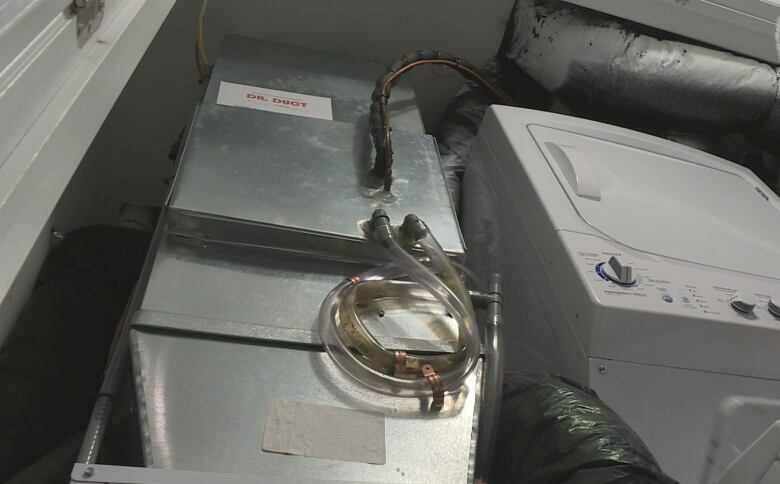 According to a statement submitted by Theberge president Joey Theberge, Reliance Home Comfort approached him in 2013 and sold him on the idea of a rented heating system. According to court documents, Theberge tasked his agent with speaking to buyers about the rental fee at upgrade meetings so they had an opportunity to ask questions or raise concerns. "I wanted to ensure that each purchaser understood and accepted the rental fees," he wrote. "If almost every purchaser had not executed the rental acknowledgement, I would have not have installed the ... system," he wrote in his submission. 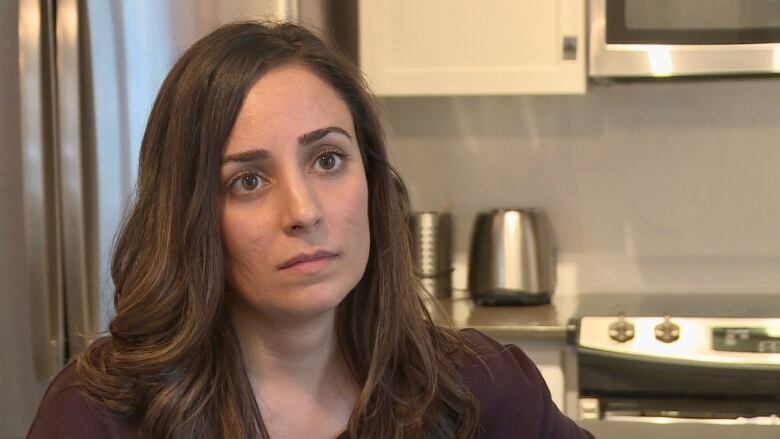 CBC spoke to two condo owners who said they understood the agreement and what they were renting. 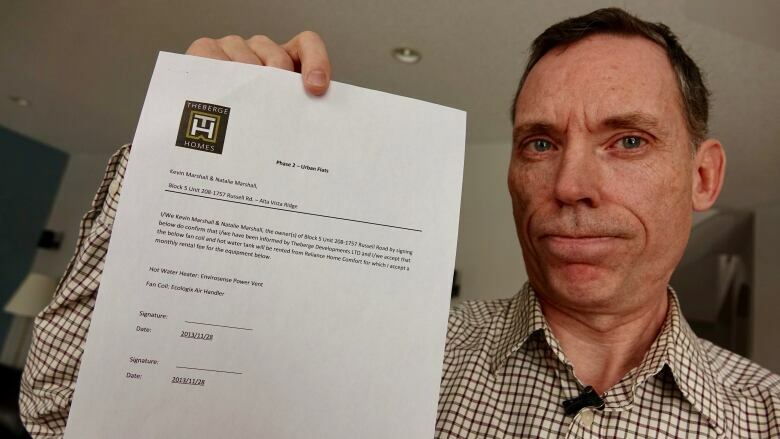 Joey Theberge did not provide CBC News with an interview by the deadline provided, but did a provide a statement, in which he claims he "offered to install storage prior to this litigation at no cost to the home buyers as a goodwill gesture." Past and present condo board members say condo owners have yet to be presented with this offer. Heyde said she hopes the lawsuit encourages other condo buyers to stand up to developers. "This is the only way really to stop them from doing it," said Heyde."